I am so done with thinking about staying warm! So I am going to focus on Valentine's Day and plan for Spring. Not that there is anything wrong with winter but serious -30 with a -60 wind chill forecast for next week. This is getting ridiculous. 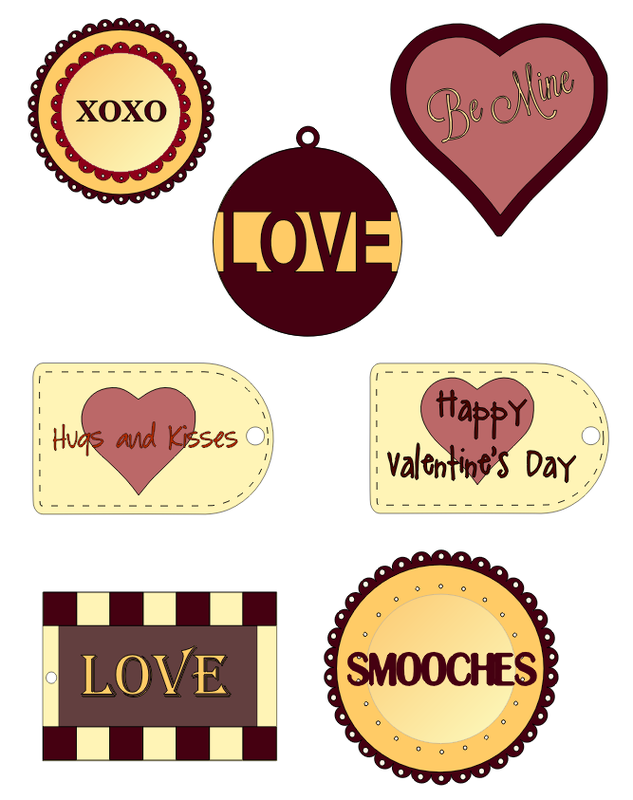 Here are some super cute Valentine's Day tags for you. Please follow me on Facebook, Pinterest, and Bloglovin. Endorse me on Sverve. The files were shared properly but the folder I put them in for organization sake wasn't. Thank you for letting me know there was a problem. I have reset the sharing on the files and the folder they are in. Please try again and let me know if it works (or doesn't) this time. Downloaded the Silhouette file - thank you!! I agree, so over winter. I enjoy where I live but when it's too cold to leave the house we have a problem. I too am looking toward Vday and spring, thanks for sharing these. Those are adorable. Thanks for linking up with the Bloggers Brags Pinterest Party. I have pinned your post to the Bloggers Brags Pinterest Board! So cute...Love your ideas! Thanks for sharing at the Hit Me With Your Best Shot Link Party last Tuesday! Looking forward to seeing you again tonight at 7 EST! These are great! I am honored that you shared at Home and Garden Thursday! Thanks for sharing your valentine printables at The Pin Junkie. They were featured in today's Valentine's roundup. http://www.thepinjunkie.com/2014/01/valentines-day-crafts.html Please stop by to grab a featured button and don't forget to join the party this evening! Hope to see you there!